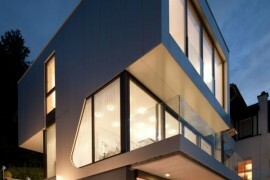 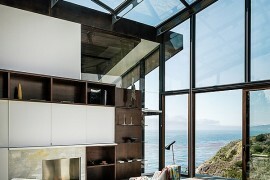 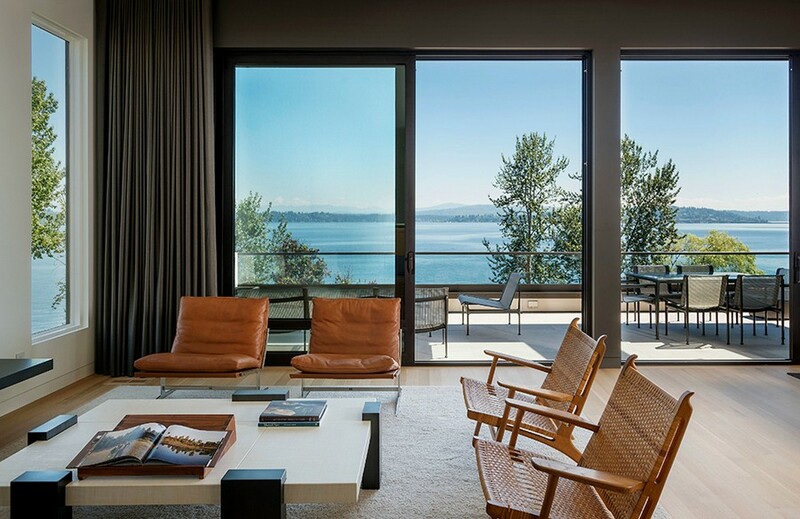 Beautiful views of the outdoors are increasingly becoming almost a mandatory part of most homes across the globe. 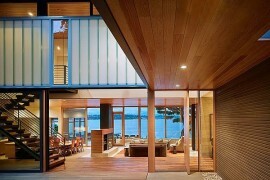 Seems like everyone wants that perfect window seat with a view to remember! 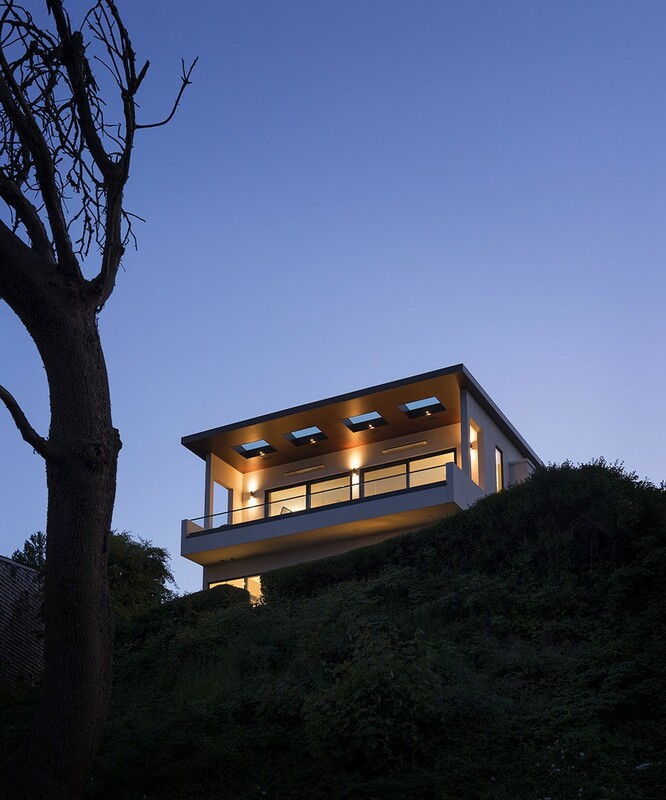 This is especially true in the case of holiday homes, which offer homeowners a chance to take a break from their hectic regular lives and indulge in some rest and recreation. 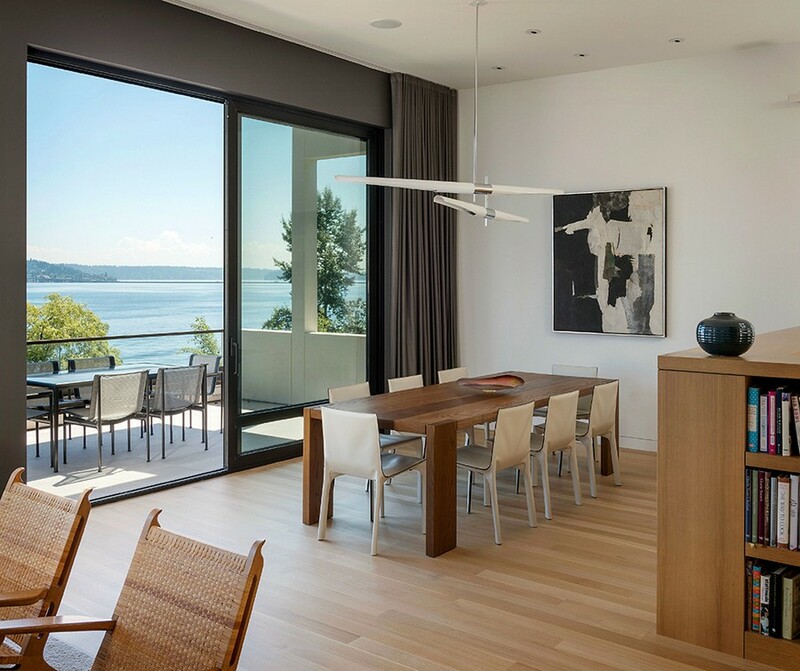 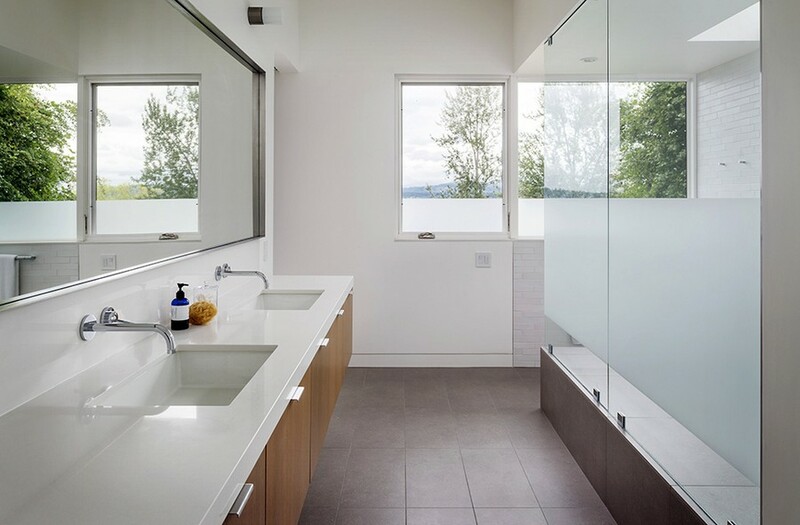 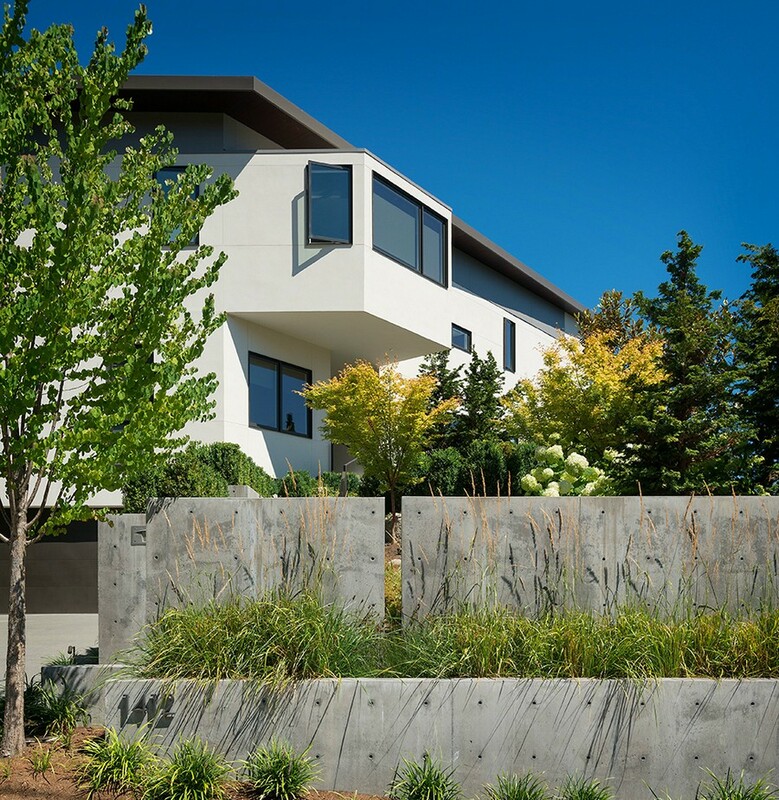 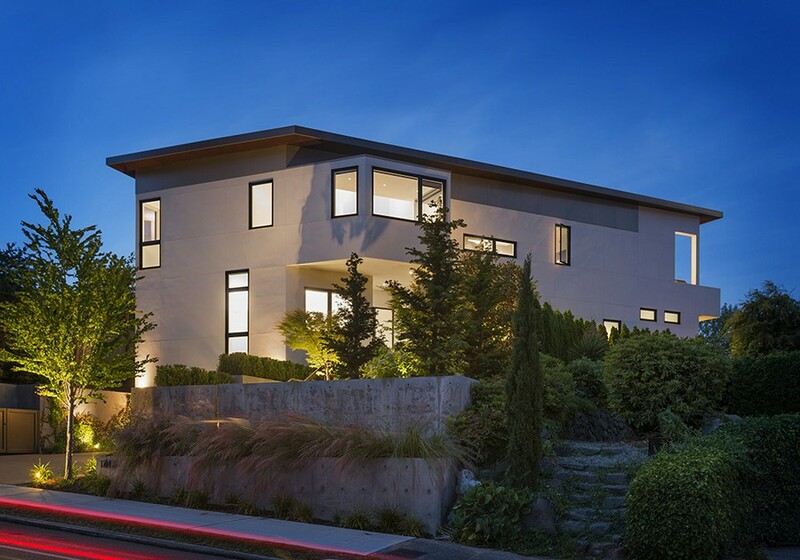 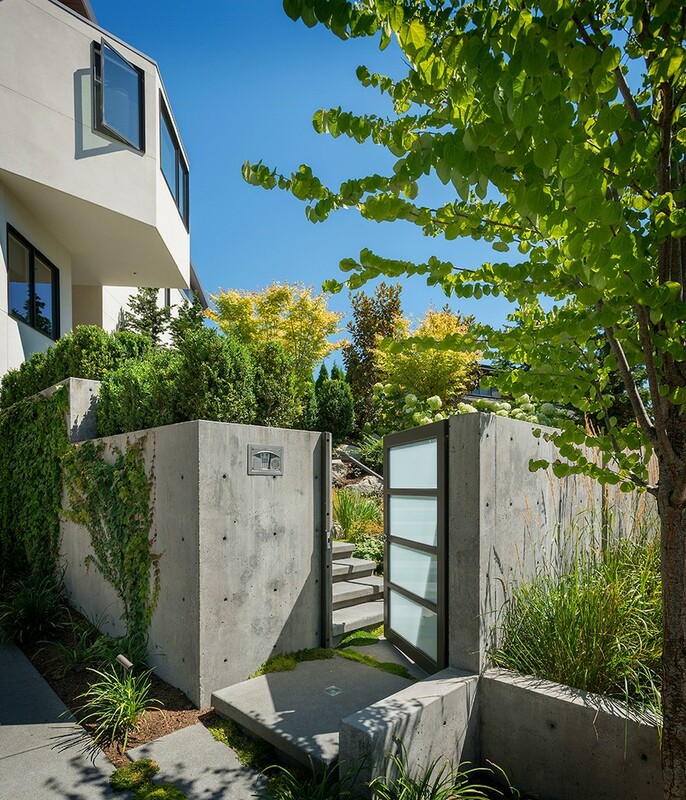 Perched atop a steep slope that offers unobstructed views of Lake Washington, this Seattle summer home was designed by CCS Architecture to make the most of the narrow lot that it occupies. 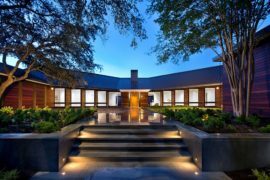 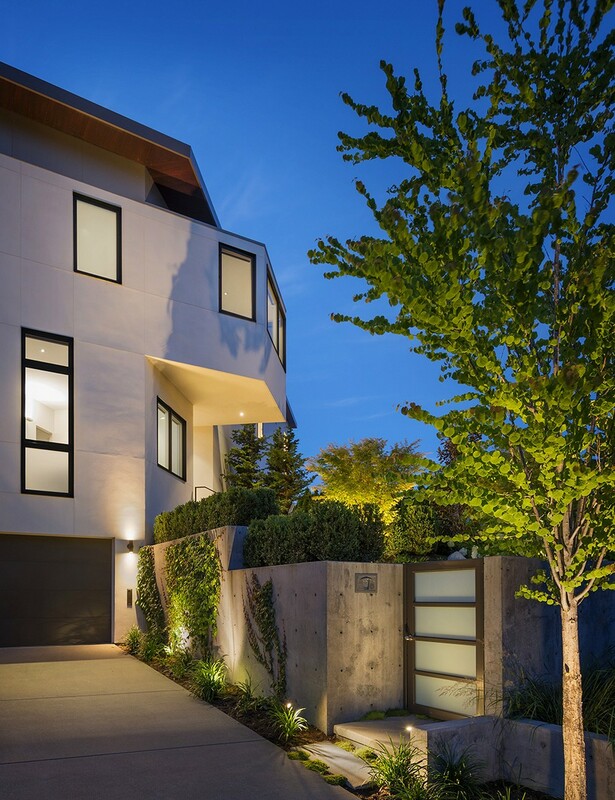 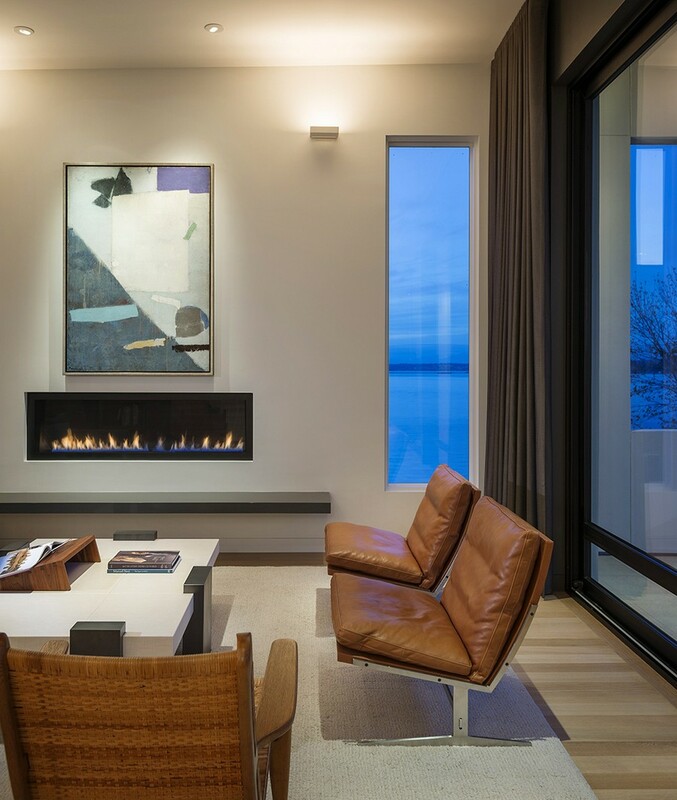 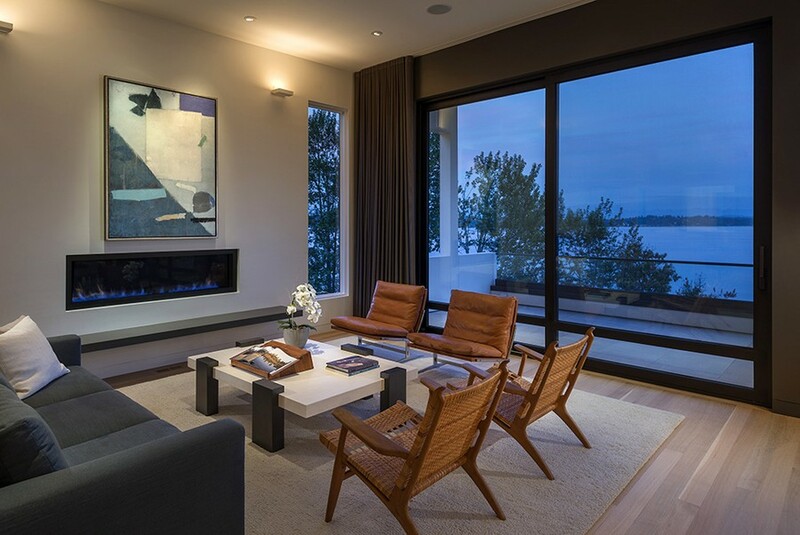 Dubbed the Madrona Private House, this gorgeous retreat is spread across three lavish levels that are all clad in pleasing, neutral tones. 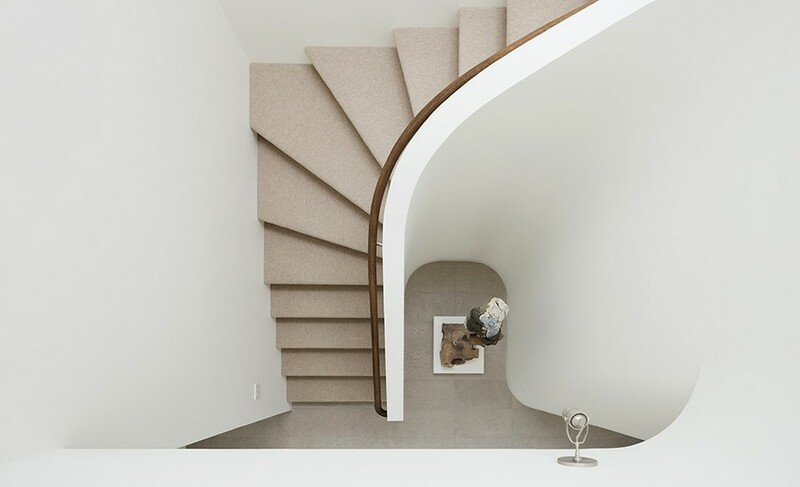 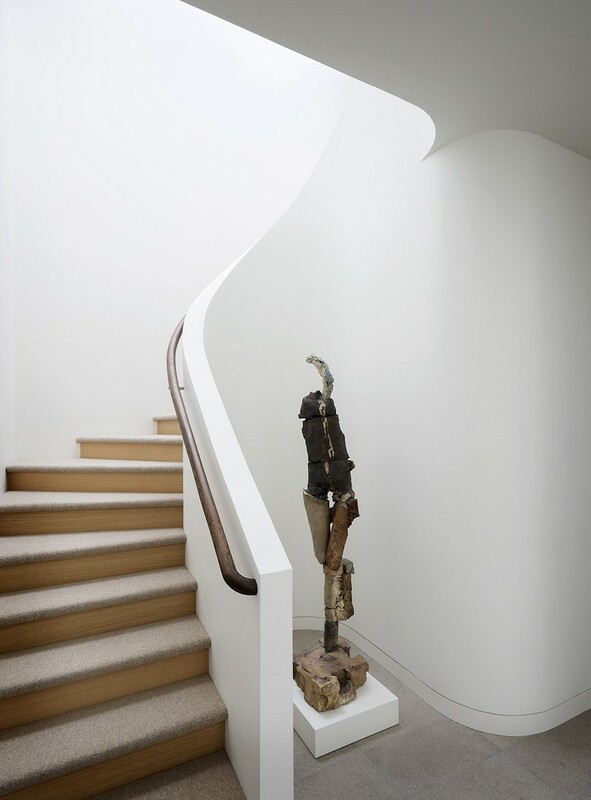 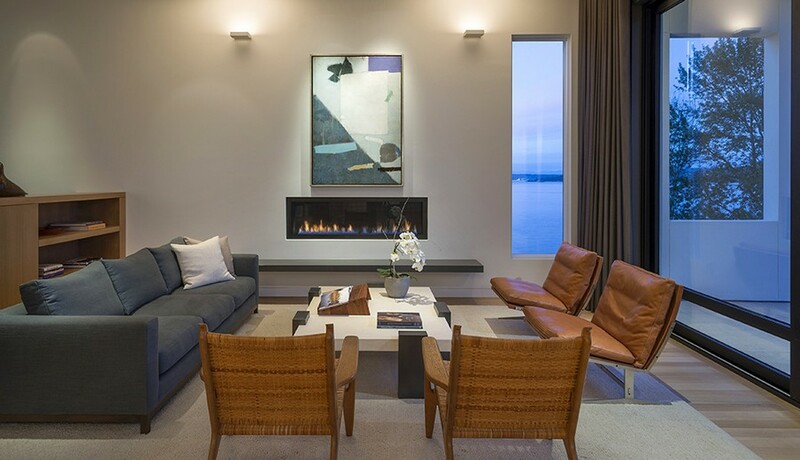 The ambiance of the home is inviting and unassuming, creating a sense of serenity the moment you step in. 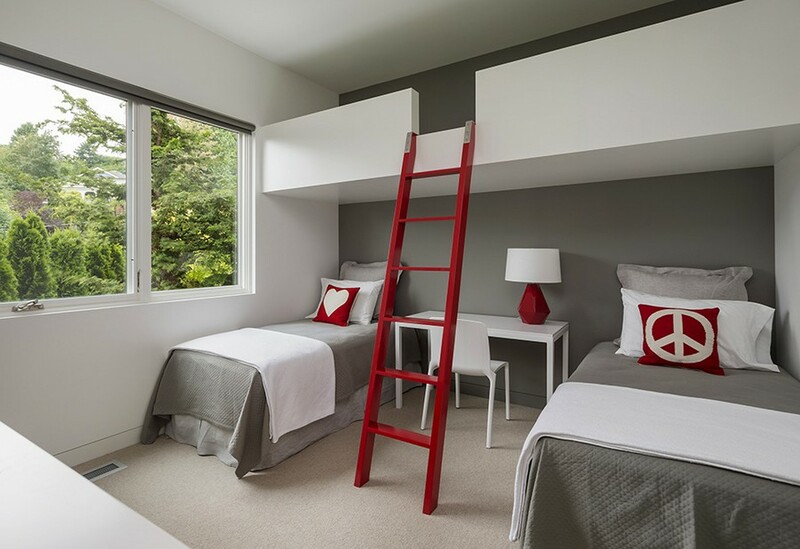 Unlike many other houses, the master suite, kids’ bedrooms with bunk beds and guest rooms occupy the lower level of the residence, while the top two floors hold the public spaces. 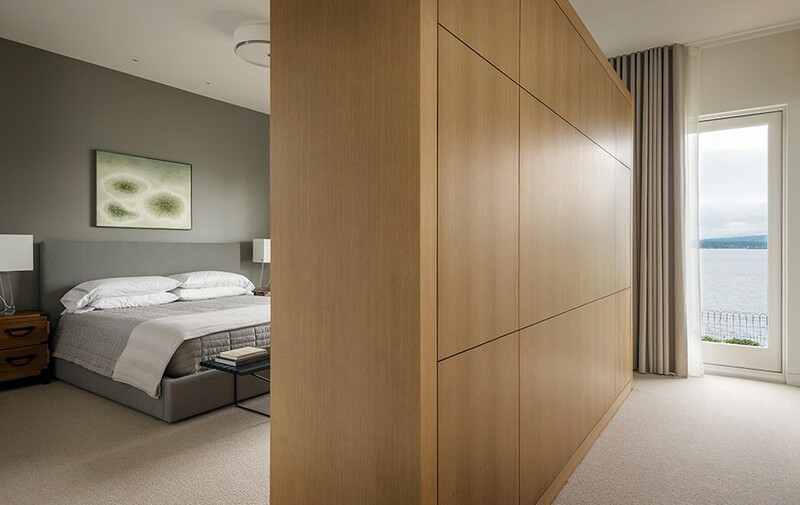 This was done to ensure that the living areas got the best possible views, while the bedrooms combined a smart blend of privacy and openness. 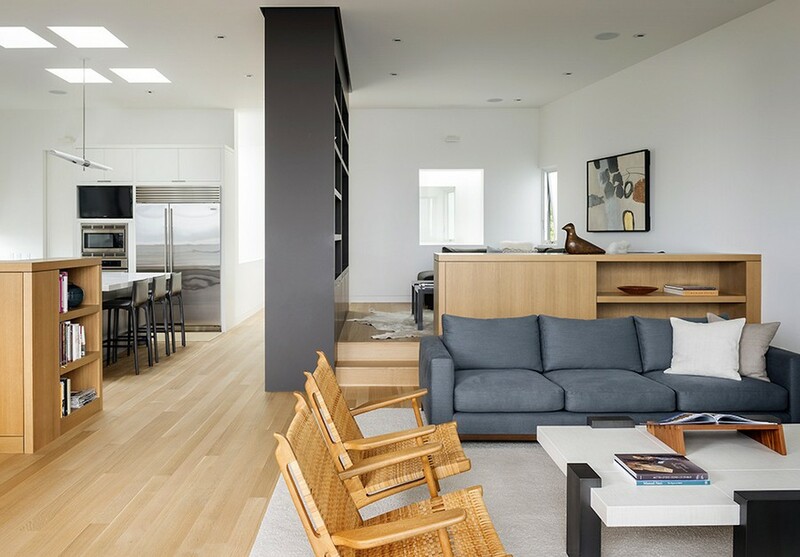 An open floor plan features the main living area, the kitchen and the dining areas, which are demarcated using pedant lights and a deft partition wall that doubles as a functional display. 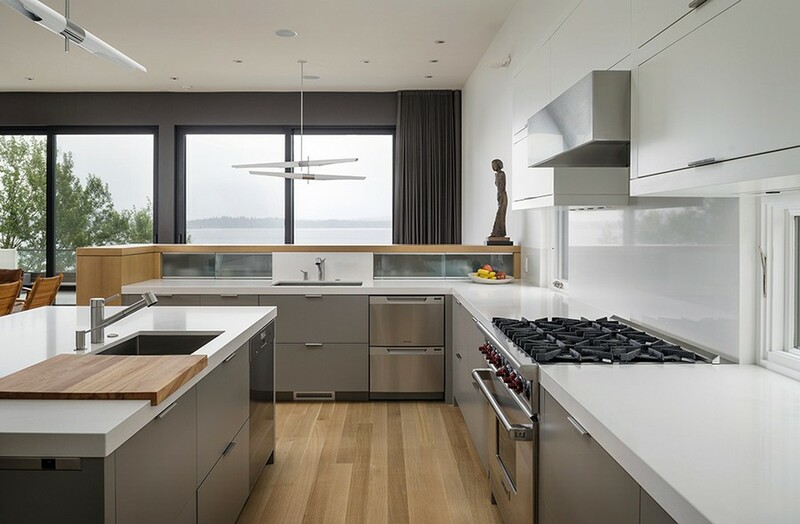 Grey and white dominate the color palette of the home, with warm wooden accents adding visual warmth. 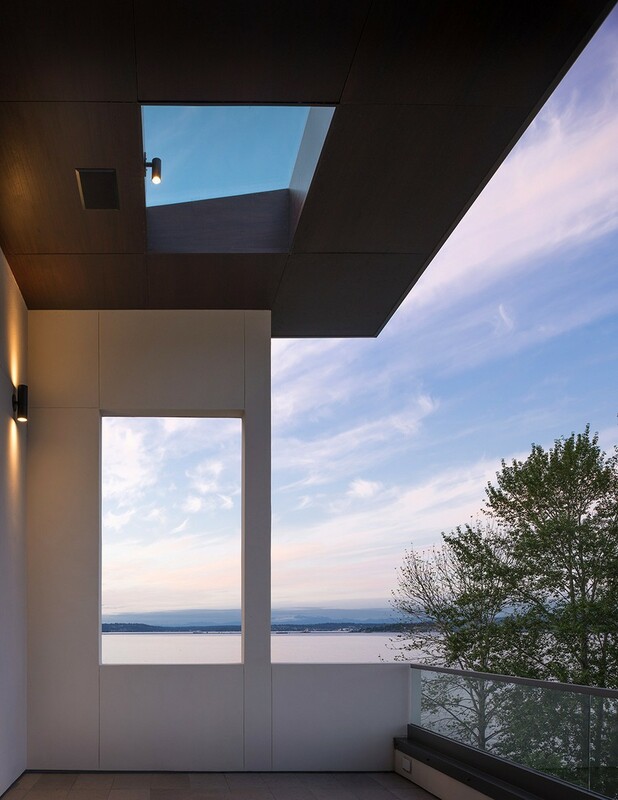 A generous terrace allows you to further take in the sweeping views of Lake Washington while you spend some dreamy summer evenings admiring the waning shades of twilight!